Our nuclear experience, use of industry-standard tools, supply of SQEP and headquarters located near Manchester ensure we are well positioned to serve the needs of the nuclear industry in the North West and throughout the UK. Our early growth during the 1980s was predominantly through nuclear services. We continue to actively support the industry, providing technical safety and reliability solutions in addition to design and engineering simulation for new build, small modular reactor (SMR) development and decommissioning applications. The nuclear industry is a major user of our ReliaSoft software for RAMS analysis and Probabilistic Risk Assessment (PRA). We run a dedicated training course concerning instrumentation and control safety systems within nuclear power plants, covering IEC61513, IEC 61226 and related standards. We have provided long term secondments of TRAM engineers to Sellafield on decommissioning projects. For plant equipment, such as reactors, piping, materials handling and concrete protection barriers, we have carried out structural analysis projects for Babcock International subsidieries and other major companies. We also have experience undertaking third party assessment and reviews. Some of our work is undertaken in conjunction with civil & structural engineers within the Wilde Group who have significant nuclear design experience. We are very familiar with seismic, impact and other dynamic analysis as well as pressure equipment codes, including the analysis of glove boxes for nuclear decommissioning. We also offer fracture mechanics and fatigue capabilities. With PLAXIS geotechnical FEA, we can accurately model soil-structure interaction when considering ground movement, installing the software at leading nuclear organisations and their supply chain. Thermal capabilities within PLAXIS enable underground temperature changes due to nuclear waste storage to be simulated. Through our knowledge of complex non-linear material behaviour, we also support manufacturers of high integrity forgings to the nuclear industry with micro-structural modelling services and software. 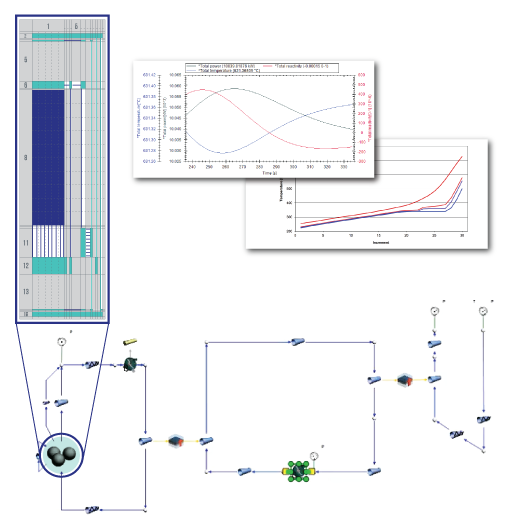 ANSYS is used widely for nuclear applications. 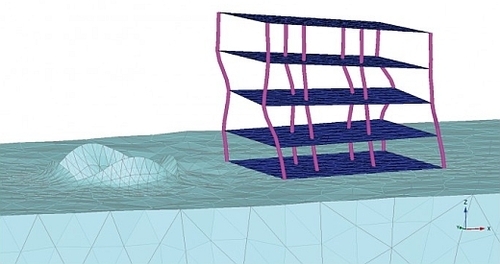 We have supplied FEA & CFD software and training services to the industry for over 20 years, including the additional CivilFEM for ANSYS solution for undertaking specific nuclear-related analysis and steel/concrete codes checking. 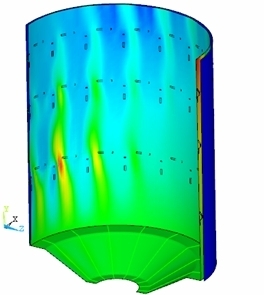 Our 1D thermal-fluid code, Flownex, is used worldwide for modelling reactors, steam/power conversion and SCADA systems & control, including condensers, turbines and flow circulation. As part of a safety analysis, it can be used to calculate temperatures, pressures and time scales for a loss of cooling accident (LOCA) and identify pressure wave (water hammer) issues. Flownex is also ideal for Small Modular Reactor (SMR) applications, covering molten salt, gas, water and liquid metal and other coolant/ fuel types. » White Paper: Alarms Management – Priority, Floods, Tears or Gain? » White Paper: Is HAZOP Worth All the Effort it Takes? The course was highly informative and pitched to a level where all delegates could be included and feel part of the discussion. Lecturer had a good understanding of our environment and how the software package could be used in our industry. Very informative introduction to FE analysis in geotechnics. Good mix of theory and practical exercises. I have found this course particularly useful. The content took me from a basic level of understanding to a point at which I feel comfortable using the software effectively. The teaching and exercises were very effective and interesting. Excellent course pitched at the level we required……..The course was aimed at mechanical engineers who have access to software or results. It was a great insight into dangers of not understanding FEA and its results. Many thanks for your contribution. By your diligence you have enabled us to proceed with confidence. We have now installed the kiln jet and operated at nearly double the throughput. I’d just like to say thanks for the invaluable work that you carried out in helping us to hone the design to the final version that was installed and worked impeccably from day 1. It saved us a lot of trial and error on the production line with associated losses that would have been incurred. The course has highlighted new and improved techniques to enable the company to be more efficient and flexible with presentation of the analysis and results. Excellent course! ... Brilliant refresher course for those who have not used FEA day to day and need to refresh on understanding of fundamentals. Highly recommended. Excellent delivery, job well done!